Paperback: 128 pages with about 150 photos. 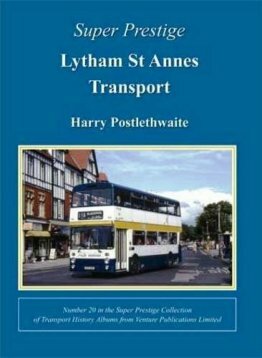 Lytham St. Annes Corporation Transport was somewhat overshadowed by its larger neighbour Blackpool but maintained a character of its own. The book commences with the infamous gas trams and moves into the electric tramway era. The trams were joined by the distinctive blue and white buses, an unusual feature being the retention of torque convertor transmission in prewar Leylands until withdrawal in the early sixties. Tramway operation ceased in 1937. Local government reorganisation brought about a change of name to 'Fylde' and deregulation saw considerable expansion of the fleet. Coaching activities including hiring to National Express took vehicles to many parts of the country. The story concludes with the takeover by Blackpool Transport Services. Fully illustrated with excellent photographs and maps.